Your friends may still be waiting in line to buy a new iPhone 6 or 6 Plus, but while they're out there braving the unpredictable weather, you're inside your cozy house customizing the heck out of your Android device. That's the beauty of being an Android user: you can tweak the interface, change up the icons on individual apps, and plop widgets wherever you see fit. Can your iPhone-loving friend do that? In Android’s Settings menu, under Application manager, you can force quit and uninstall apps as you see fit. 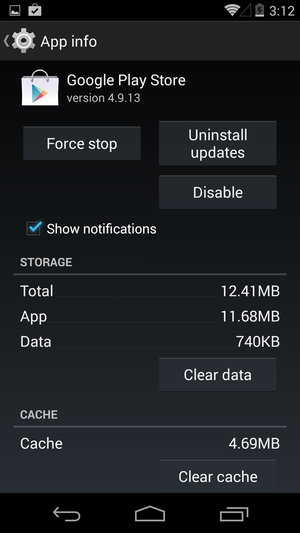 You can also clear the cache for apps that are acting up, or view how much storage space each app takes up. And if your carrier bundles bloatware on your device, you can disable it in stock Android, or hide it entirely on Samsung and LG’s user interfaces. Best of all, you can choose your own app defaults, so if you really don’t want to use Google Chrome as your browser (for example), you can choose something else from the Google Play Store. You can force stop, uninstall, or disable an app, and clear its data or cache if it's bumming out your OS, man. iOS 8 merely allows you to force-quit an application by swiping up on the app in the App Switcher. You can delete an app by long-pressing it on the interface or through iTunes. But you don’t have much control over whether or not you want to use Safari as your default browser, for example, and not many applications offer transparent options for limiting how much room its data takes up. It's wonderful that Apple finally allowed widgets inside iOS’s notifications panel, but it's too little, too late. 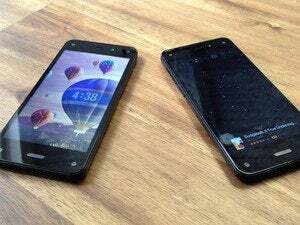 Android users have been able to plop widgets on both the Home screen and the Lock screen for years now. Widgets may take up the screen, but it's up to you to choose which offer valuable information. Most widgets come bundled with an application when you download it from the Google Play Store. The FitBit widget, for instance, helps you track your steps and how many calories you've burned throughout the day, while the Google Keep widget lets you quickly pen notes and voice reminders to yourself with just a tap of a button. There are even customizable widgets available, like Elixir 2 Widgets, which lets you create custom widgets for your Home screen. iOS 8 may have a few new neat new interface perks, but the overall interface of Apple’s mobile operating system hasn't evolved much over the years. It's still the same old grid of icons, one stacked after the other. 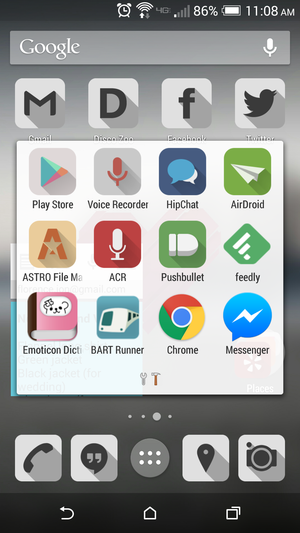 You can't hide apps, and you still have to cycle through various screens to find the app you want to use. You can’t even change the icons or really customize how things appear, save for changing the wallpaper. On Android, you can use apps like Beautiful Icon Styler to style individual app icons. Here, I'm using two different icon packs. 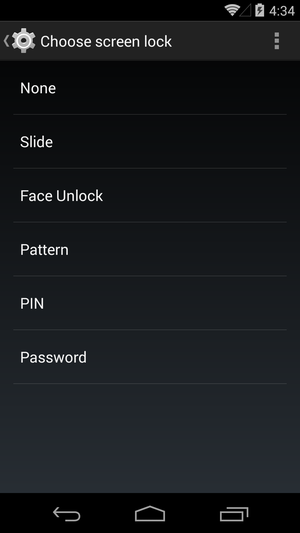 Android allows you to customize the interface as you see fit. You can move icons around, group them however you like, ban apps to the Application Drawer so that they're there if you need them but aren't taking up Home screen space, and toss in a few widgets to change it up a bit. You can even use apps like Beautiful Icon Styler to quickly change the icons on your Home screen. And, if you really want an interface makeover, you can download one of the many different launcher apps in the Google Play Store to tweak every little nook and cranny of the Android interface. Don't feel like taking the bus? Take the subway! Don't feel like taking the subway? Take an Uber! Google Maps offers many options. Apple may have fixed its Maps app since its disastrous launch in iOS 6, but when you ask it for directions it still won't tell you how to get there by bus. 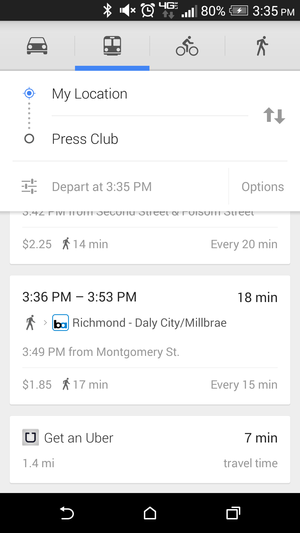 Google Maps offers options for different types of transit, too, so if you decide to take a boat, bus, or train to get to where you're going, you're covered. And while some might not be too crazy about the fact that there's Uber integration in Google Maps, at least you have the option to call for a ride when you're in a bind. 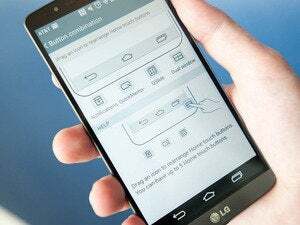 While split-screen multitasking isn’t a feature that comes with stock Android, manufacturers like LG and Samsung have made it a standard part of their interfaces. 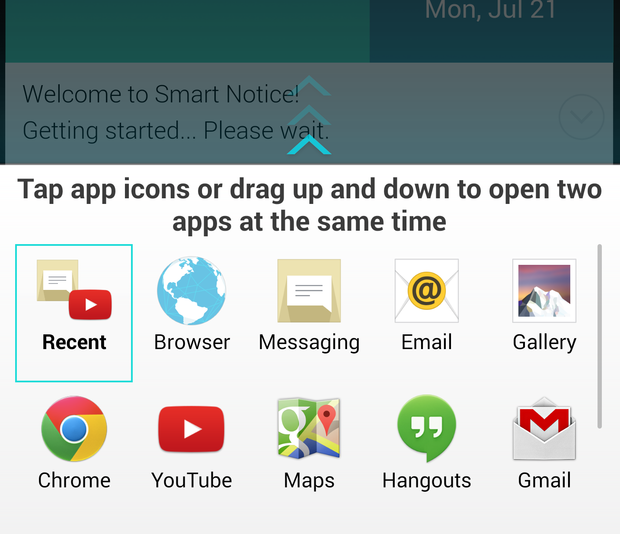 Samsung calls it Multi Window Mode, and LG calls it Dual Window, but both do exactly the same thing: allow you to use two apps simultaneously, side-by-side. It’s something that every large-screened phone or tablet should have to make it easier to flip between apps. LG's Dual Window lets you run two apps side by side with ease. At present, iOS 8 does not have a feature for split-screen multitasking. There’s hearsay that Android L will have it at launch, but nothing has been confirmed. Still, it’s a good example of how Android’s openness has enabled the development of these types of features, and the more users clamor for it the more it seems to become a standard part of the interface. There’s nothing worse than having to share your device with a kid. They’re already getting their grubby, sticky fingers all over your phone or tablet, and now you have to accommodate them with apps to keep them entertained? Ugh. You might have to share your tablet, but you don't have to share your apps, or your data. 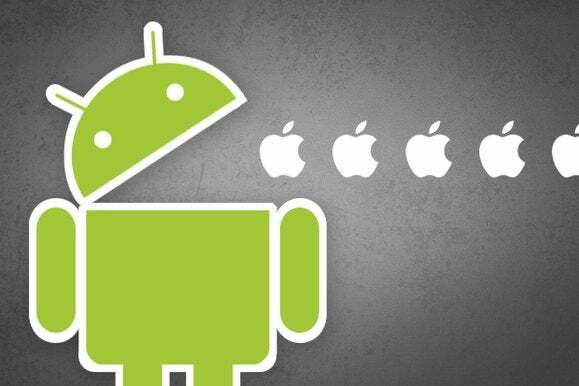 That’s why Android’s profiles were a welcome respite for all the inevitable gadget sharing. It essentially allows you to create different partitions in the operating system with its own custom apps and settings. Currently, this feature is limited just to Android tablets running Jelly Bean and above, but there's some evidence that it might come to smartphones too in Android L.
It's pretty cool that iOS users can use the NFC chip in their new iPhones to pay for stuff, except that Apple Pay won't be available for another month. Android users already have this capability—and the ability to do more than just pay for stuff. 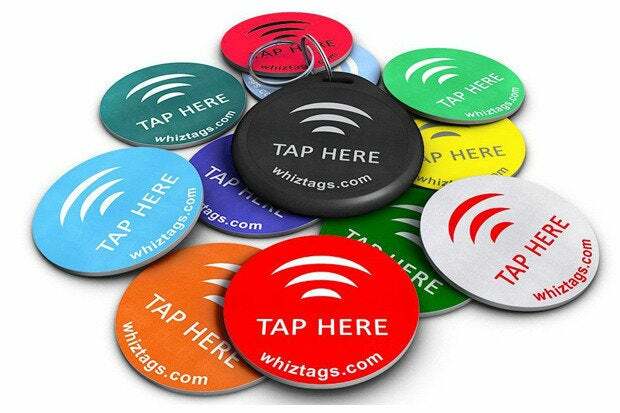 Paste NFC chips anywhere in your house to make your phone do cool things. Apple won’t open up the NFC capabilities to other developers in iOS 8. So, while you can use your Android phone to do things like walk into a room and swipe the phone on an NFC tag to engage Do Not Disturb mode, your iPhone-using friend can only use his smartphone to pay for things like nachos at the baseball game. Been there, done that. Apple requires as much as 5.8GB of free space before it will let you upgrade your iPhone to iOS 8, which has caused a lot of users to go through deletion anxiety. It wouldn't be such an issue if iOS users could store their videos, images, and music on a MicroSD card. Android users can. If you want up to 128GB more room to store photos, music, and videos, all you have to do is buy the MicroSD card and then pop it into the phone or tablet. And while it’s true that Android KitKat nixed some of the powerful abilities of expandable storage, you can at least still move over those extraneous files as you see fit. Oh, and you can use a USB flash drive, too. Choose a screen lock—any screen lock! The iPhone lets you swipe, scan a fingerprint, or enter in a four-number PIN number to unlock your device. Android offers more choice: you can enter in a PIN number that's four or more numbers, trace a pattern across a grid of dots, have Android scan your face, or use a super long password to unlock the phone. Samsung’s Galaxy S5 also lets you use a fingerprint scanner, if you so wish, while the LG G3 has its neat Knock Code. Also, when you encrypt your Android device, the OS requires that you set up a PIN number or pattern to keep your phone locked up. It’s one good way to get in the habit of password protecting your phone, and if all else fails and you still lose your device you can track it down with the web-based Android Device Manager. This is simply one of the best things about Android. If you want to install an app, you can type in "play.google.com" from any web browser, log in with your Google account, and hit Install to download an app to any of your linked Android devices. The iTunes App Store doesn't really exist on the web for iOS devices; if you click to install an app, it opens up iTunes or the mobile App Store app on a device. Also cool: if you want to try out a new app that’s in beta, or simply can’t wait for the Google Play Store to push out an update, all you have to do is download the appropriate APK from a trusted source and then sideload it on to your device. You don't need to be a hacker to do this, and it’s easy-to-do hacks like this that make Android that much more customizable than iOS.